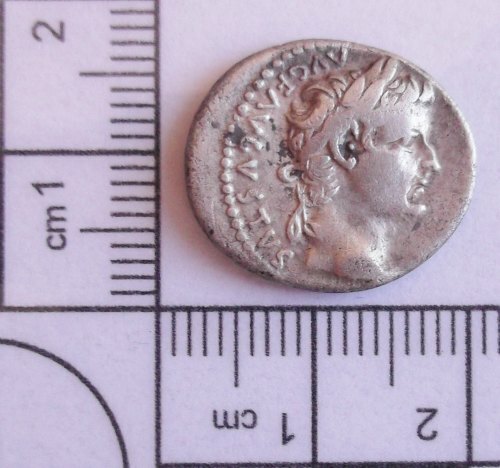 A complete silver Roman denarius of Tiberius, dating to the period AD 14-37. Reece Period 1. PONTIF MAXIM reverse type with Livia depicted as Pax seated right. Mint of Lyon, RIC 30. This coin is sometimes referred to as the 'Tribute' or 'Bible penny' due to its possible association with a speech made by Jesus and referred to in Mark 12:15. 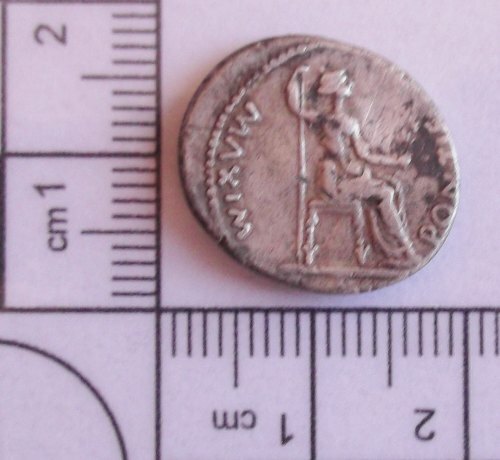 However it has been suggested that it was in fact another coin issue, either Greek or Roman, that was shown to Jesus. Thanks to the finder for providing the images.